Finally! 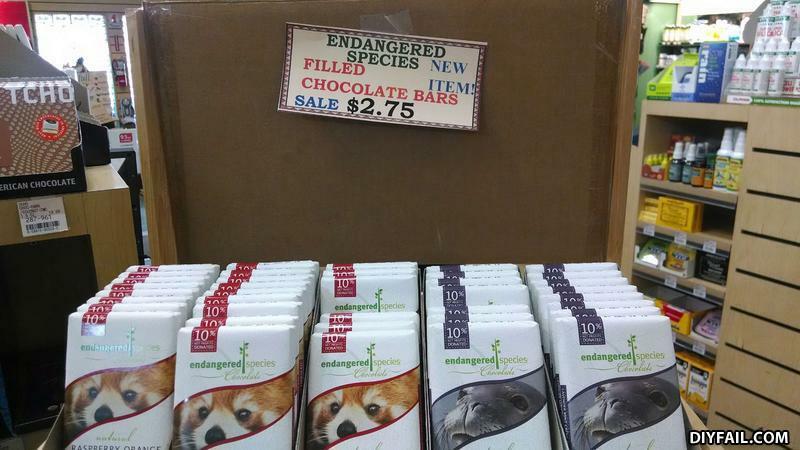 A use for endangered species, all they do is take! What does the fox say? "I didn't like being made into a candy bar!" I want a red panda filled bar please. Who pushed joe off the building? Little guy: I also beat Mike Tyson with my fists! Woman: Meh, from what I heard you beat some nobody named Mr.Dream!